With only slight reservations, I actually think Judd Winick did a rather fantastic job in Batman: Under the Hood Volume 2 with what, on the surface, seemed like a fairly terrible idea: resurrecting the second Robin, Jason Todd, killed off by the Joker in 1988. For DC Comics, a company trying to put the "shocking" back in shocking deaths with a little bit of permanence, it would seem like a great time to to keep the two deadest characters in comics, Jason Todd and the Silver Age Flash Barry Allen, six feet under, but right now it doesn't seem to be the case with, well, either of them. As far as Jason's concerned, I thought I knew the whole story -- Jason was dead, then an other-dimensional Superboy-Prime banged on the walls of reality in DC's Infinite Crisis and what we thought happened was erased, and Jason secretly crawled out of the wreckage. Instead, Winick tempers Infinite Crisis science-fiction mojo with gritty Batman sensabilites, and what surfaces is incredibly digestable -- an explanation for Jason Todd's return that both preserves what we know so far, and moves us forward into the future. 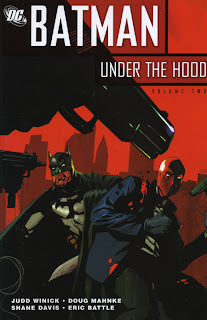 Batman: Under the Hood Volume 2 opens as Batman investigates the return of Jason Todd, while Jason, as the Red Hood, continues to take apart Gotham ganster Black Mask's hold on the city. When Black Mask accepts help from the assassin Deathstroke, Batman fights beside Jason, but when Jason kills the villain Captain Nazi, Batman realizes he has to stop his former partner. Black Mask seemingly kills Jason, but it's only a decoy; Batman is lured to Crime Alley, where Jason holds the Joker prisoner. As the Secret Society decimates the neighboring town of Bludhaven with the villain Chemo in Infinite Crisis, Jason makes Batman choose between killing him or killing the Joker; Batman wounds Jason, and then loses him in the ensuing explosion. The new policy at DC appears to be one of immediate, rather than retroactive continuity; as with character Donna Troy's new origin, Green Lantern Hal Jordan's possession by an alien being as an explaination of a controversial storyline, new Flash Bart Allen's powers of information retention in Teen Titans, and others, it seems that writers have a greater ability to tweak facts as they go along -- which isn't necessarily a bad thing. In the case of Jason Todd, as the Batman Annual #25 at the end of this trade shows, it's not that Jason didn't die, it's just that Superboy-Prime's reality shift resurrected Jason -- in his coffin. What follows is a terribly creepy, but incredibly effective origin of the Red Hood. Fans of Jason's demise in Batman: A Death in the Family get to keep this tale, while at the same time Jason returns from the dead. 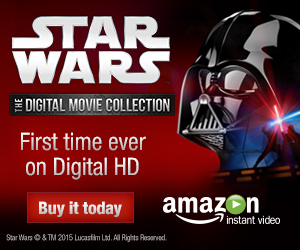 Inasmuch as this story could have left a bevy of fans feeling cheated, I was especially impressed with this solution. As I mentioned in my review of Under the Hood Volume 1, Winick writes an older Batman, more George Clooney than Christian Bale. This continues here, and the take on Batman is most fitting considering his enemy. Winick does a great job demonstrating why the Red Hood is a dangerous villain for Batman -- because he makes Batman doubt himself. The scene where Batman and Jason fight side-by-side (and, prior to this, where Batman is frozen, unable to decide whether to help Jason or not) show a Batman uncharacteristically shaken and unsure -- and people around him get hurt and die because of it. Winick conveys the sense that, whenever Batman is fighting Jason, he'd just as soon be letting Jason get away, and this makes for a very compelling story. I'd hardly think the Red Hood character could hold up a series on his own, but I'm not sorry to see he's getting more exposure in the post-Infinite Crisis DCU. The nits in this trade are small and far between -- Doug Mahnke and Tom Nguyen provide excellent art as always, and Shane Davis's Batman annual steals the show, but I might've preferred more Mahnke and less Eric Battle in the middle. And, even as Winick provides a perfectly good explanation of how Jason Todd can still be alive, his explanation plays continuity hash with villain Talia Al Ghul's timeline, enough that her role is mainly worth ignoring altogether. But these are, again, small issues with an overall great story -- an excellent effort of a writer working under crossover constraints and coming out on top. Continuing on now reading Infinite Crisis crossover trades -- Nightwing: Renegade next, then Green Arrow and Teen Titans. Tag along!